First and foremost, I'd like to thank all of the circle artist's for composing such wonderful musics, and of course, ZUN for composing so many wonderful themes. Now, where would I be without you? Piano Arrange on the Stage 5 Theme in Touhou 11 - Subterranean Animism. Among the tracks presented in this album, I'd say this would be one of the most enjoyable track I've listened and loved by far from this artist. It simply retains the same old, same old feeling of a lonely and desolate place. In addition to that, it also gives a feeling as though you've lost your best buddy through ways you wouldn't have imagined. 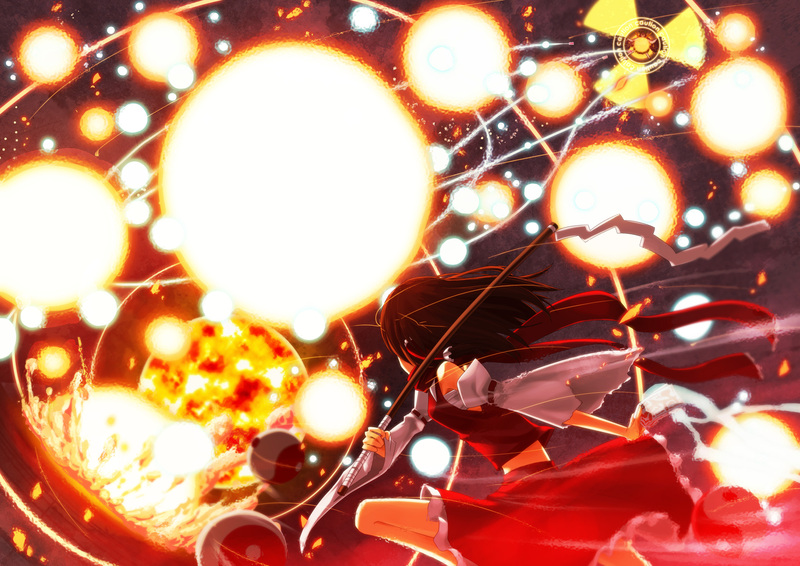 Somehow I tried connecting this arrange with the Nuclear Fusion , hence the usage of the illustration concerning Reimu and Okuu. This is the fifth stage theme. Pretty much that as well..
Last Person To Post Wins Wiki is a FANDOM Games Community.